Q. How many nights should I stay at Anurak Lodge? A. We recommend a minimum of three nights. You need two full days to enjoy our tours and activities. Q. Are there any restaurants and convenient stores near Anurak Lodge? A. The remote location is one of the attractions of the lodge. If you want shops and restaurant close to your hotel you might want to look for another place to spend your time in Khao Sok. Q. Why does the lodge have no swimming pool? A. 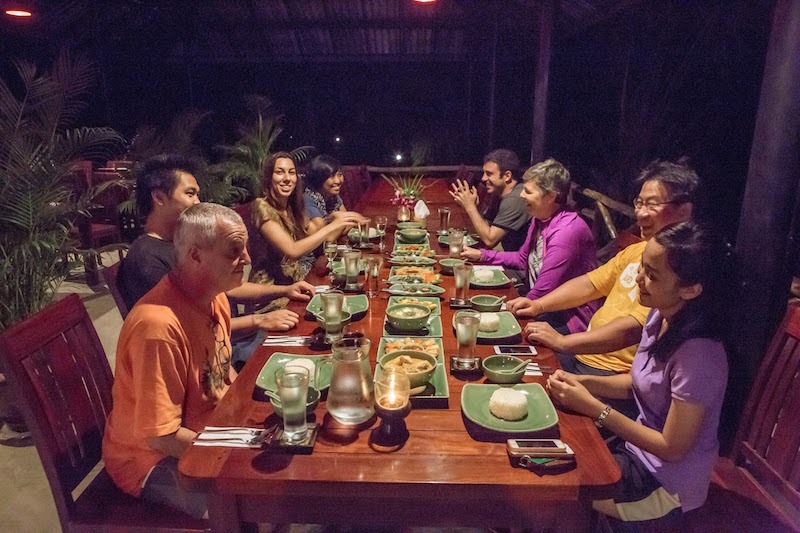 We founded Anurak Lodge as a center for activities in and around Khao Sok National Park. A swimming pool just doesn’t fit in our philosophy. Most hotels and resorts in Thailand have swimming pools so a couple of days without swimming pool should not be a problem. Most of our guests visit the Rajaprabha Lake on a day tour or overnight tour. There is plenty of opportunity to swim there. Q. Why there are no televisions in the lodge? A. We think televisions distract from the natural beauty of our surroundings. This was a conscious decision. A couple of days without television won’t hurt anyone. Q. Why there are no traditional massage or spa services in the lodge? A. We are a lodge for nature lovers. Most hotels in Thailand offer traditional massage and spa services. A couple of days without traditional massage and spa should not be a problem. Q. Is the lodge suitable for families? A. It is very suitable for families with children of 8 years and older. Q. Is the lodge suitable for people with certain impediments? A. No. 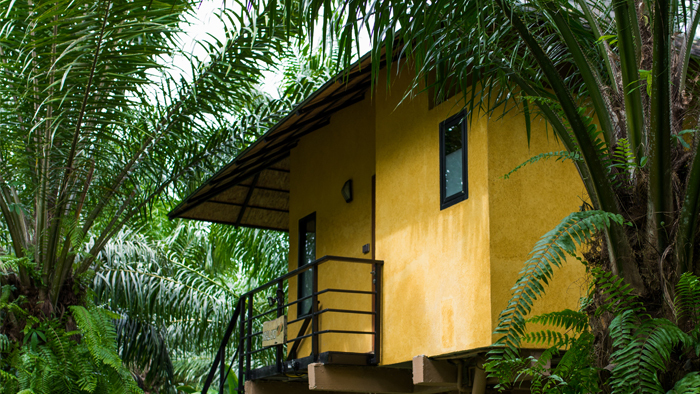 Our bungalows are on stilts and are quite spread out over the property. The lodge is really an activity center for the national park. Q. How long does it take from Surat Thani airport to Anurak Lodge? Q. How long does it take from Surat Thani Railwaystation to Anurak Lodge? Q. How long does it take from Phuket Airport to Anurak Lodge? Q. How long does it take from Krabi Airport to Anurak Lodge? Q. Should I book my tours and activities in advance? A. Yes, Anurak Lodge is a the jumpoff point for tours in Khao Sok National Park and other areas. 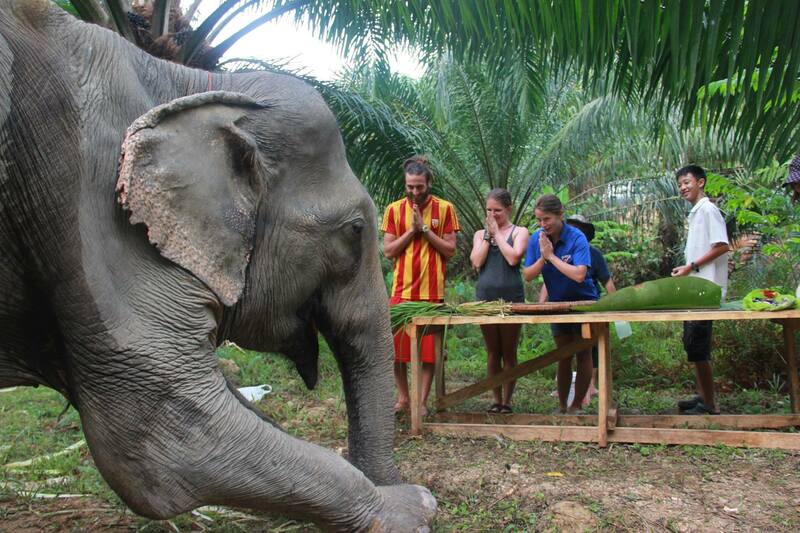 Certain tours such as our Elephant experience has limited capacity and are quickly fully booked. Also other tours require preparation from our side, guides need to be informed in time, etc.. Availability might be an issue. We need advance notice for the performances and the Jungle Dinner. The Nature Trail you can do at any time.